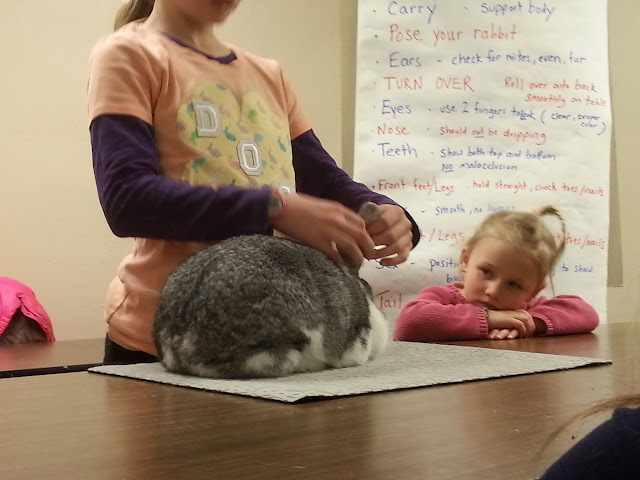 And then our own 4-H club had a meeting with rabbits as the topic. The kids learned all sorts of things and I'm working on putting a book together with the club member's drawings and facts we learned. I didn't take any pics at 4-H, I should have. The most exciting outcome of all this is how energized my kids are for their rabbit. I'm not reminding them to take care of Hop nearly as much, Adrian's new fave activity is cleaning his cage and Audra has been constantly opening the cage to give Hop a little scratch. The kids have been wanting to hold him more as well. 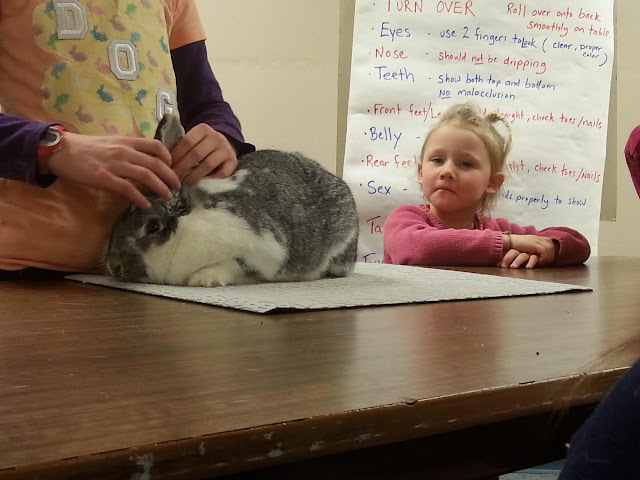 Who knows....we may be showing rabbits at some point should their interest continue. I wouldn't mind that one bit. Showing rabbits is fun and you can meet alot of good people that way. 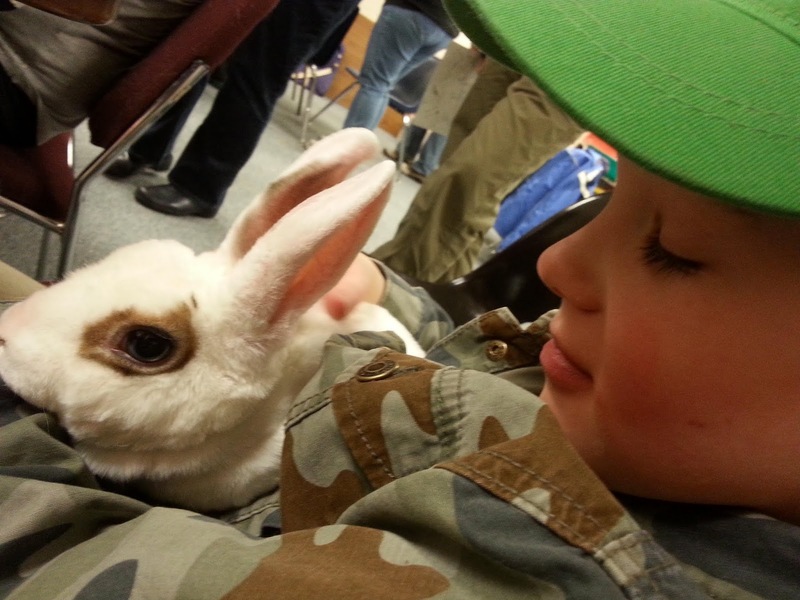 I breed and show Himalayans and the majority of people there are very helpful and encouraging especially to youth because they are the future of rabbit showing. I attend the ARBA shows.